Hatsune Miku is normally a blue-green color, but when the seasons come around, Miku also has seasonal colors! Today's Spotlight is all about the winter and spring versions of Miku! 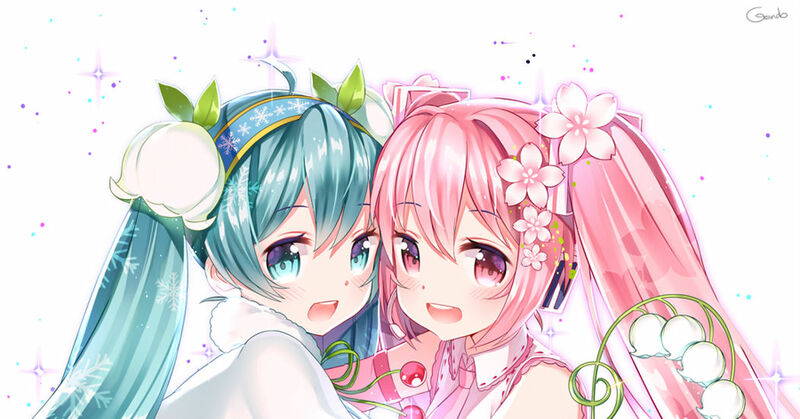 Blue and white makes up Snow Miku and pink makes up Sakura Miku. Which one do you like more? Check them out!